Reports reaching our newsroom is that the now dead educator was also pregnant, and that doctors managed to save the baby’s life. 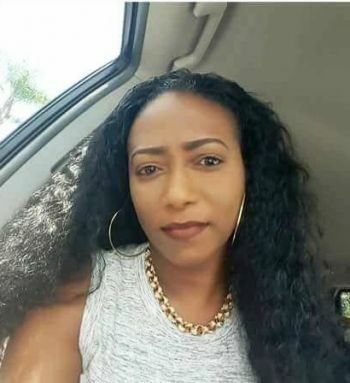 News of the passing of Ms Henry on Tuesday 5, 2018 has since left the Virgin Gorda community of friends, family, teachers and students in shock over the sudden death of the educator. She was 38 years; born on July 31, 1979. The late Ms. Henry—a Virgin Islander—was a 2005 graduate of the H Lavity Stoutt Community College. She was also a proficient hairdresser—a vocation she learnt from her mother. The Late Ms Henry had spent a number of years as a school teacher on Virgin Gorda, at the Bregado Flax Educational Centre, primary school division. She is survived by her mother and father, two sisters and three children. This hits so hard I feel numb, you was such a beautiful, pleasant, and intelligent young woman. I still can’t believe that you’re gone. During this difficult time, I pray that God lifts and comforts your family. God knows best. So sorry to hear this bad news. My sincere condolences to Ms. Henry's children, parents , family, friends, students and Co-workers.I am feeling real sad right now. RIP Ms.Henry. Ohhh no she taught my daughter but we relocated after Irma. Very vibrant soul indeed . How did she passed? Our condolences to her family especially her parents. So sorry to hear this sad news. Please stand corrected she have three sisters! Were they not able to help her at the Virgin Gorda clinic?